Okay, so here’s something very interesting (and potentially scandalous). The South African PlayStation Store is selling a number of games for twice the amount that they’re being sold for on the Xbox Store in South Africa, while many of these games are also being sold for higher prices on Steam (though not quite as high as PSN). This comes from a report over at GameZone, who have compiled a list of games that have been priced quite irregularly on PSN and Steam. 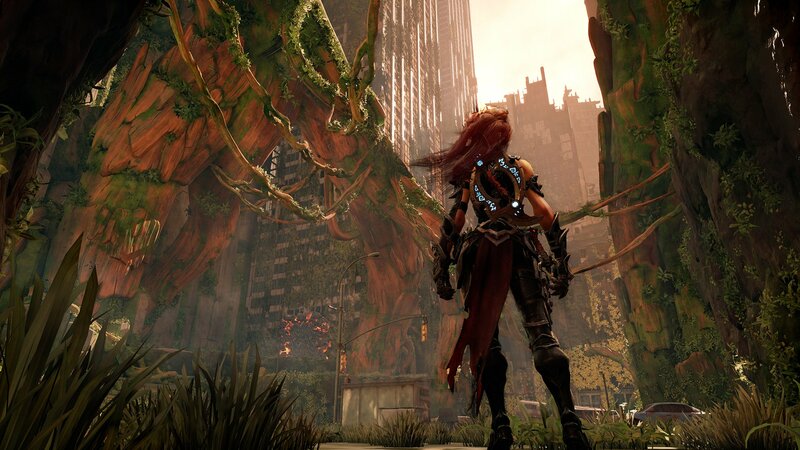 For instance, Darksiders 3 (which was quite recently confirmed for a November 2017 release) is being sold for R599 (South African Rand) on Xbox Store, while the exact same version (Standard Edition) of the exact same game is being sold on the PlayStation Store for R929. Meanwhile, Steam is also selling the game for more than what it’s being sold for on the Xbox Store, at R769. And it’s not the only game with surged prices, either. We Happy Few is being sold on Xbox One for R570, and on PS4 for R1,069, while its Deluxe Edition on Xbox One costs R669, but on PS4 is priced at R1,205. Then there’s Skyrim: Special Edition, being sold on Xbox One and Steam for R619, but on PS4 for R929. Prey costs R449 on Xbox One and Steam, and R629 on PS4. Jurassic World Evolution is being sold on Xbox One for R599, on Steam for a slightly more expensive R649, and then with a massive surge on the PS4 for R949. Star Brigade and its Deluxe Edition are being sold for R549 and R699 respectively on Xbox One, for R269 and R439 on Steam (so this one is actually cheaper on Steam), but are priced at R799 and R1,199 on PS4. 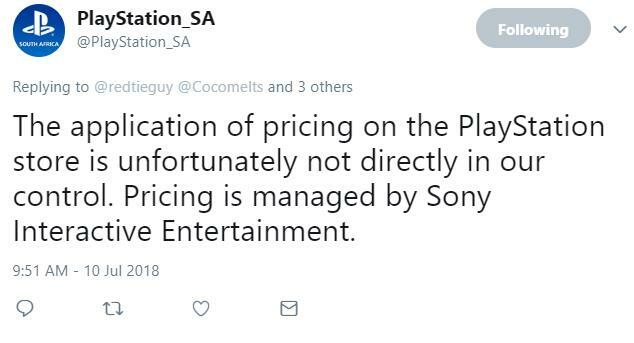 So does that mean Sony is purposefully and knowingly charging consumers extra money, sometimes even almost as much as double? Or is Microsoft just charging less money- which, by the way, doesn’t make any sense at all. Whichever it is, PS4 owners are really being taken for a ride over in South Africa. Having to pay R350 more for a recently released game like Jurassic World Evolution, for instance, when Xbox One owners can get it for much cheaper is just ridiculous.